250GB 860 EVO SATA III 2.5" Internal SSD is rated 4.8 out of 5 by 112. Rated 5 out of 5 by Drakthorian from Happy with my new 500GB Samsung 860 EVO Hello, this is my 7th SSD from the Evo series with the previous ones being 2 840s 3 850s and 1 960, and like with all the other Samsung Evos I have had price/performance is stellar, I don't have any issues on this just like I didn't have any issues with my previous SSDS which I still have in raids etc. in my desktop computer, this one is just to add extra storage. Thanks for the reliable SSDs you make. It's the only Samsung products I buy, but it is also the best products Samsung makes. The design is kinda meh, but it's hidden away so it's no big deal to me. I vastly prefer the design of the M.2s but again, form factor makes this impossible to replicate. 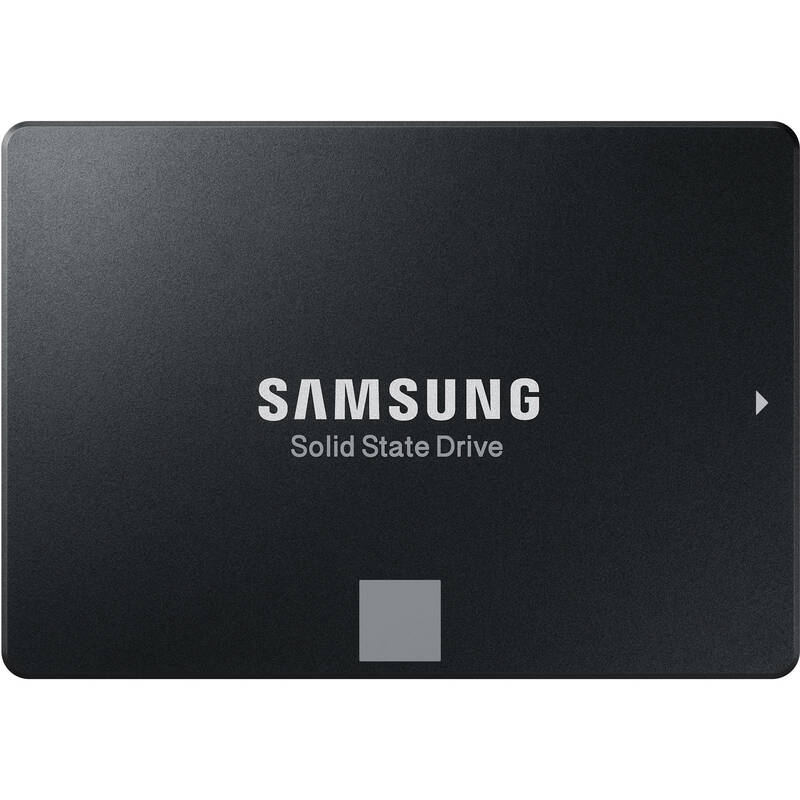 Rated 5 out of 5 by Luvwknd from Third SSD & First Not To FAIL I've purchased a few SSD';s for desktop HDD replacements and after the first two, including their RMA's failed, I sought input from fellow PC enthusiasts and the Samsung 860-EVO was the SSD recommended by a lot of individuals! Well over a dozen people informed me that I would not be disappointed with this SSD, and after using it since early April 2018 I have to report I am extremely pleased! Thanks to anyone who suggested this SSD and furthermore, anybody looking for an SSD, don't purchase a low end less expensive SSD...buy this one and you won't be disappointed!! Thanks Samsung! Rated 5 out of 5 by Bruce from The 860 EVO series is ideal for non-commercial use Samsung SSD are very aggressively priced, very reliable and well supported by the Magician software package. Magician is an excellent disk cache and configuration tool for 64-bit systems with 6gb or more installed RAM. EVO performance is top notch. The SSD Benchmarks website shows them to be the top of the SATA-3 category. The EVO technology is not as robust as the PRO or their new Enterprise, both which are intended for heavy, continuous use. The 250gb SSD is ideal for use as a System volume with a physical large capacity disk as secondary storage. The secondary disk also allows for creation of a Windows System Image of the system volume. Rated 5 out of 5 by NBNB 123 from Fast SSD Drive Purchased at Best Buy on sale. Downloaded migration software from Samsung. Cloned new SSD. Note: you will need a sata wire 3.0(usb) to do this. I also needed an Insignia SSD Mount to install this into the computer. I have an HP All In One 27 inch, I-7 computer. Taking the back off of the computer is a real pain so read how others did this. Removed old drive, install new drive, put back cover on. Hooked up power pushing the start button. Off it went. Booted up in 24 seconds. All seems to be normal in operation. SPEED = Hang on for it is fast! Instruction = Just above Poor at best. Cloning = Takes approximately two hours. Installation = Takes less than thirty minutes. Rated 5 out of 5 by cotesy from Great laptop update I replaced a really slow HDD in my Toshiba laptop with the 500Gb SSD, and it was so simple. Samsung's Data Migration s/w made the cloning process so easy. Instead of minutes to awaken from hibernation, it is now only seconds. I was so impressed I upgraded my brother-in-law's laptop (also with a very slow and old HDD) with with a second 860 EVO 500Gb SSD, with very similar pleasing results. I also really appreciate having the Magician monitoring s/w too. Rated 5 out of 5 by Tdolls from Faster than advertised! This is my fourth SSD from Samsung but my first 860. I have nothing bad to say about this and funnily enough it's even faster than the advertised speed during benchmarks. The speeds dropped 5-10 MB/s after updating to the latest driver but it's still faster than advertised and like before, this was measured with a benchmarking tool and probably not noticeable in real life. will it work on my blackmagic cinema camera 4k, the square one? Hi. Will it work for a MacBook 2008?